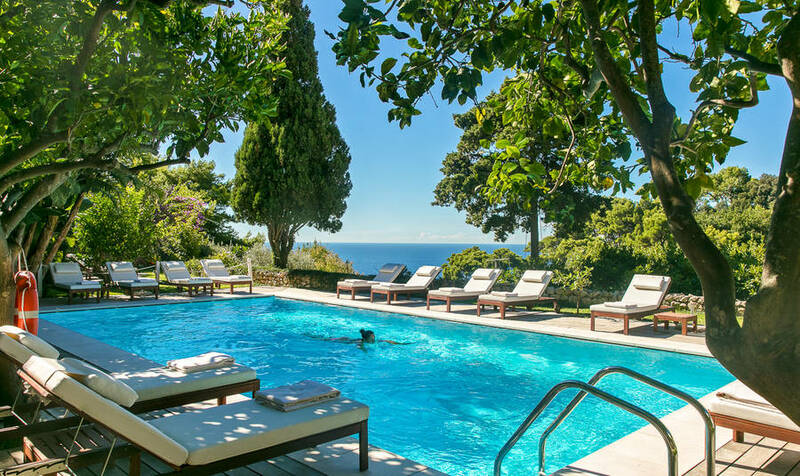 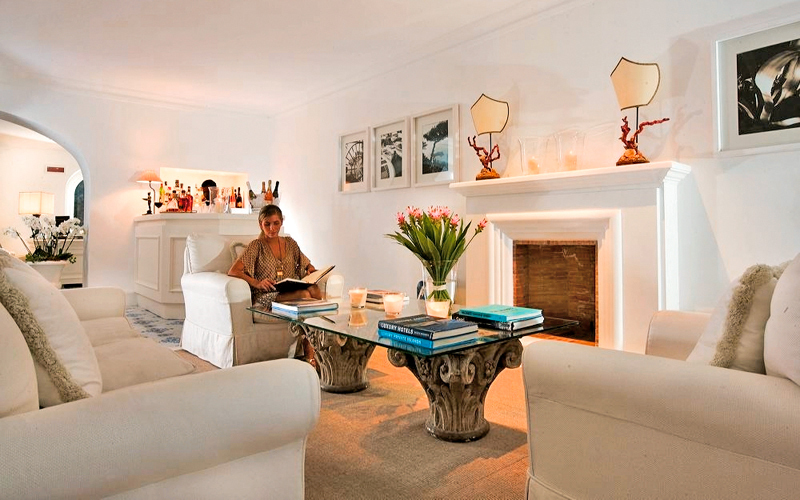 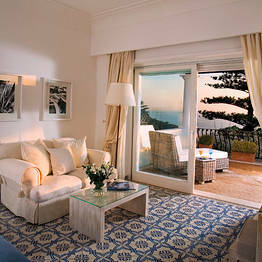 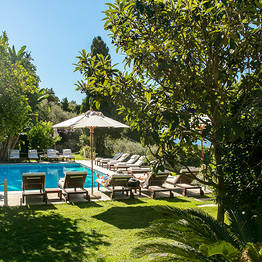 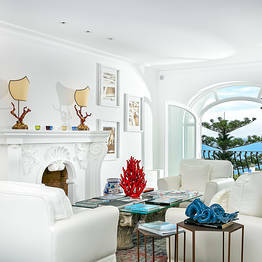 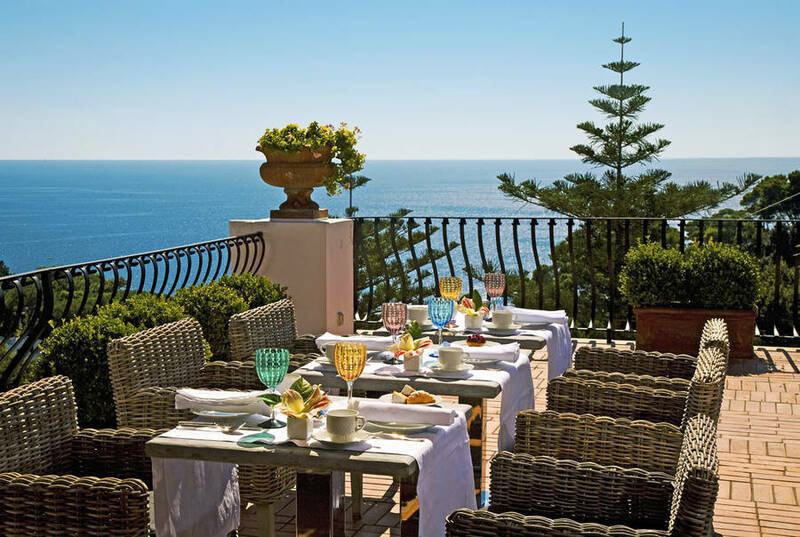 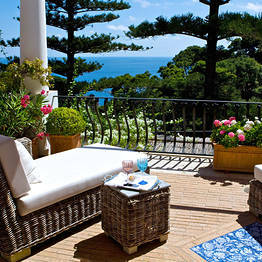 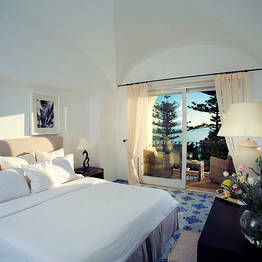 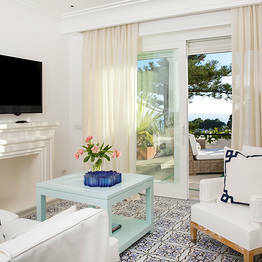 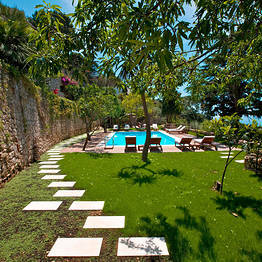 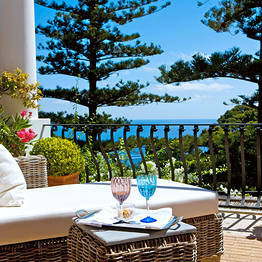 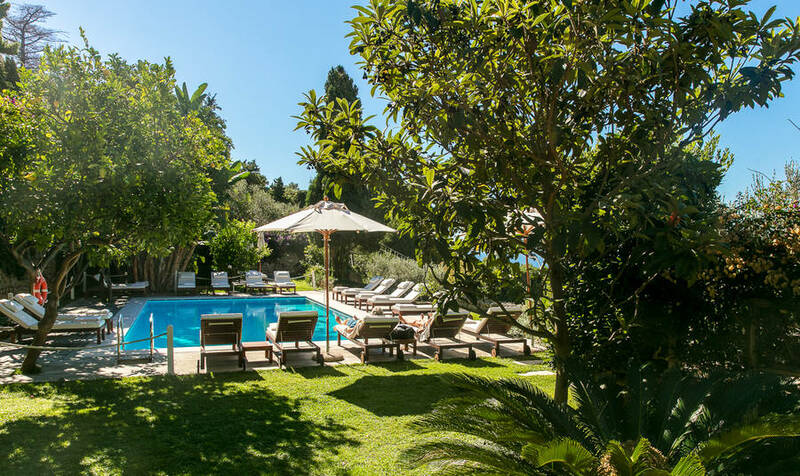 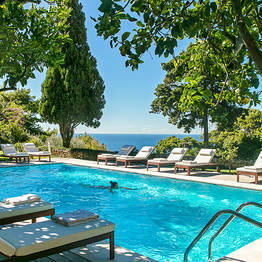 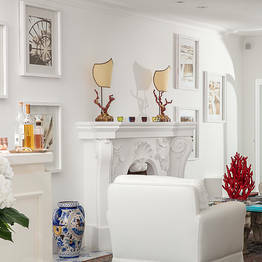 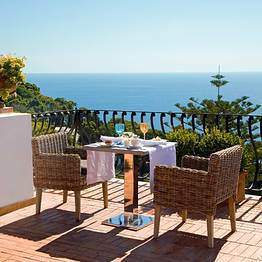 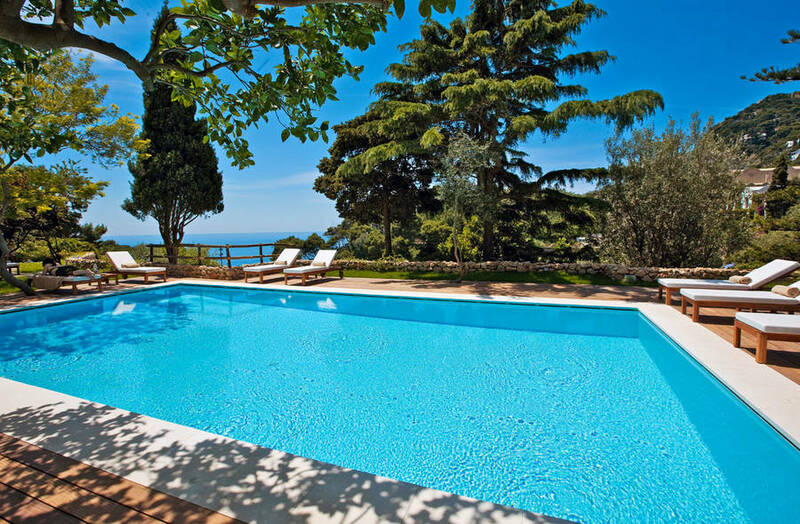 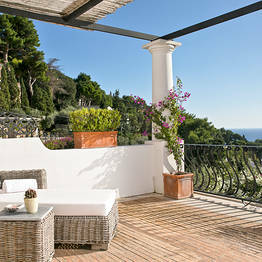 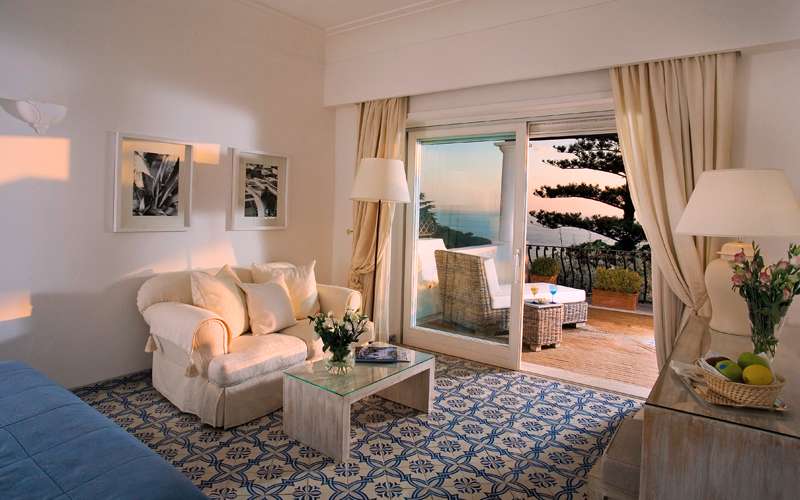 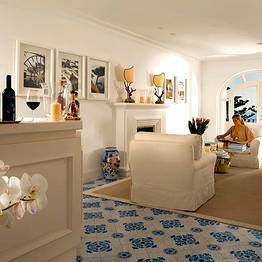 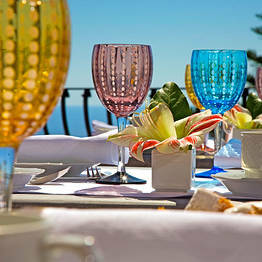 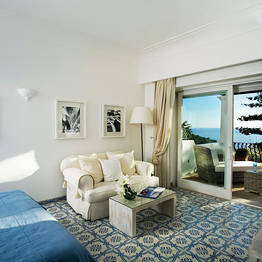 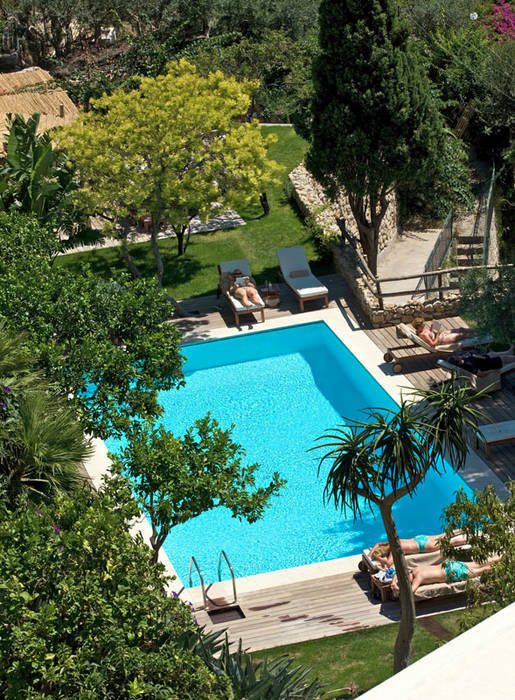 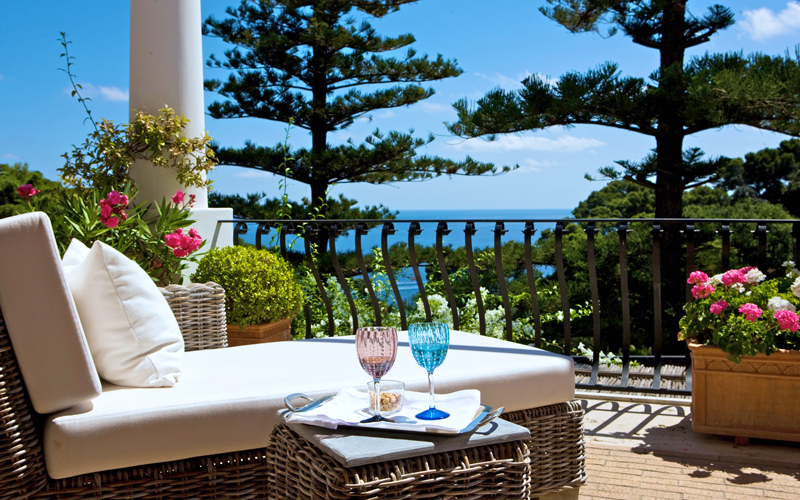 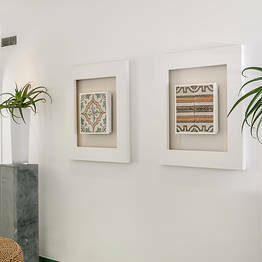 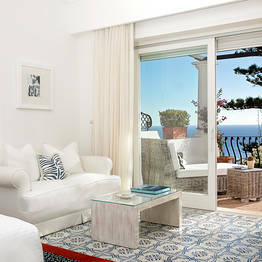 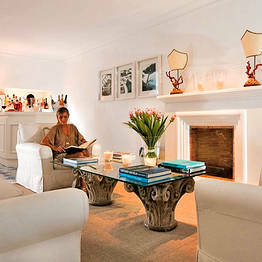 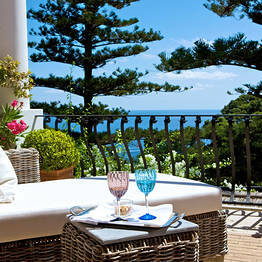 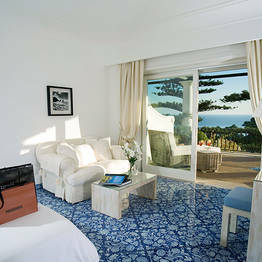 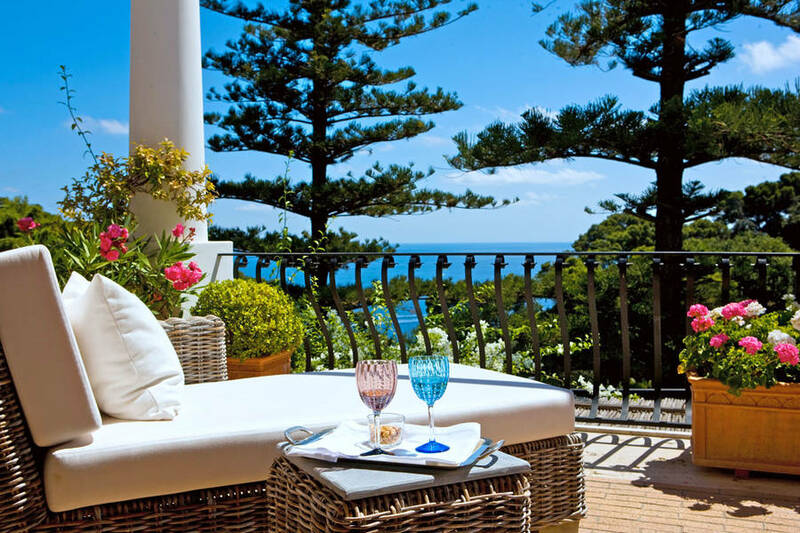 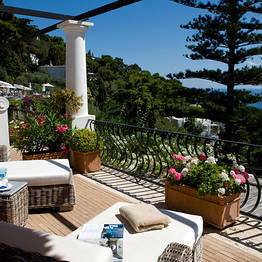 Hotel La Minerva Capri: 3 reasons to book here | Capri Booking. 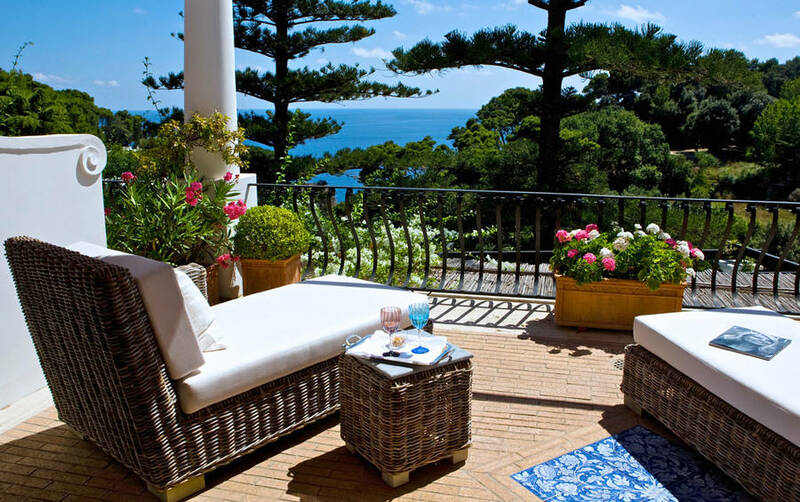 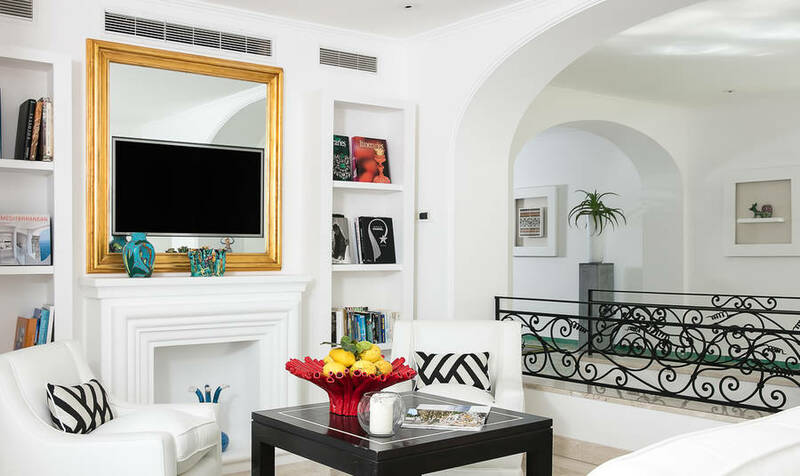 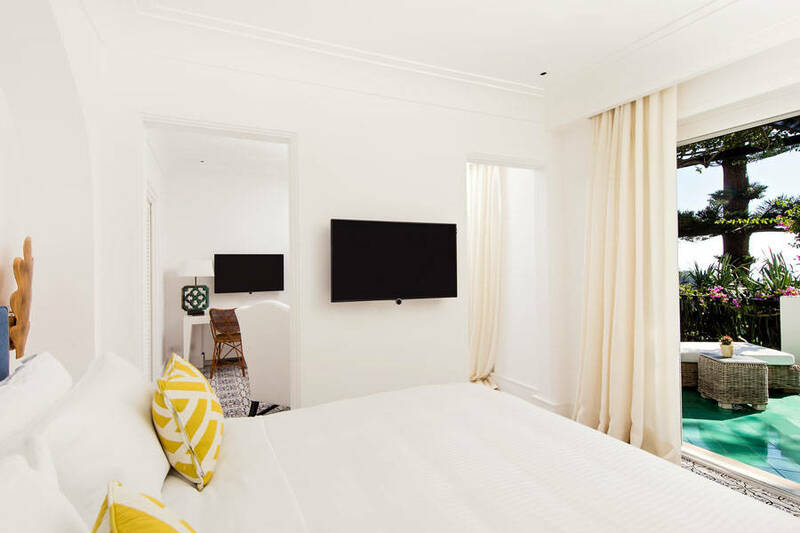 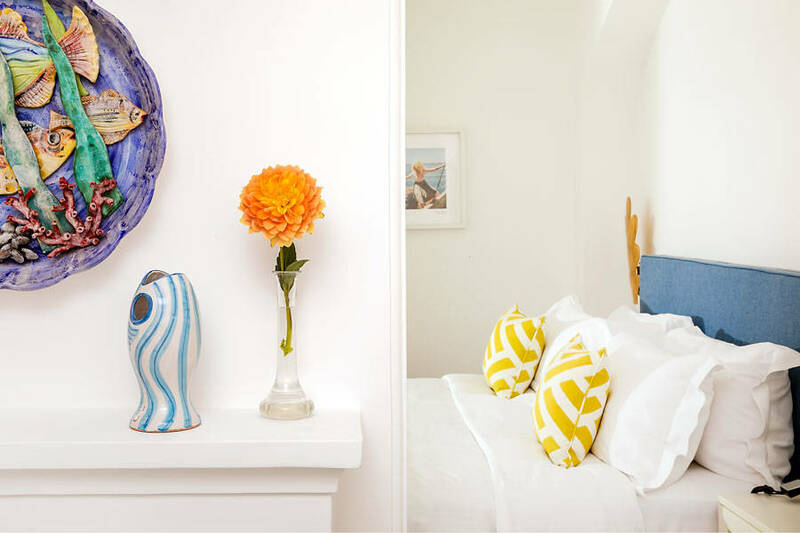 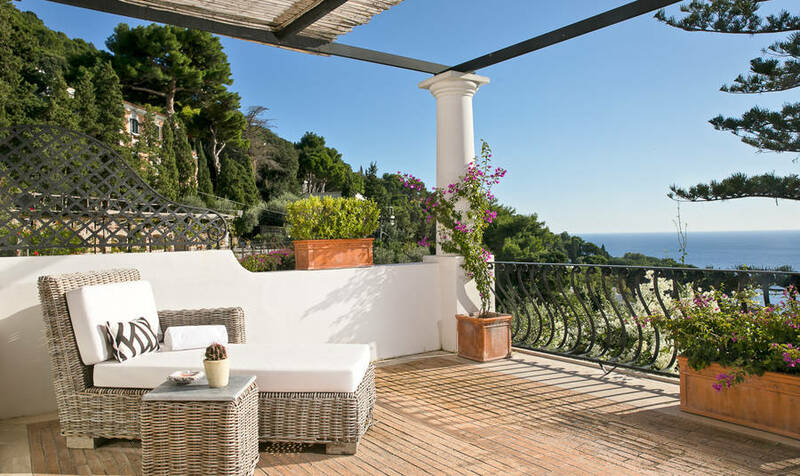 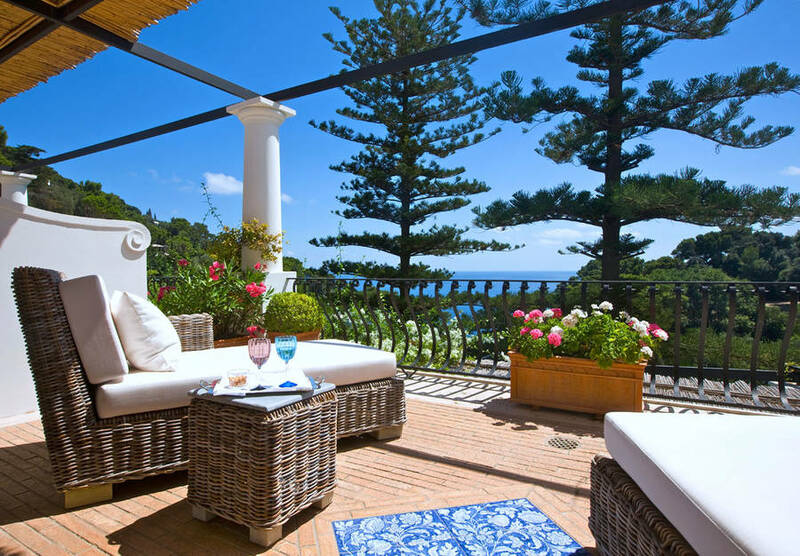 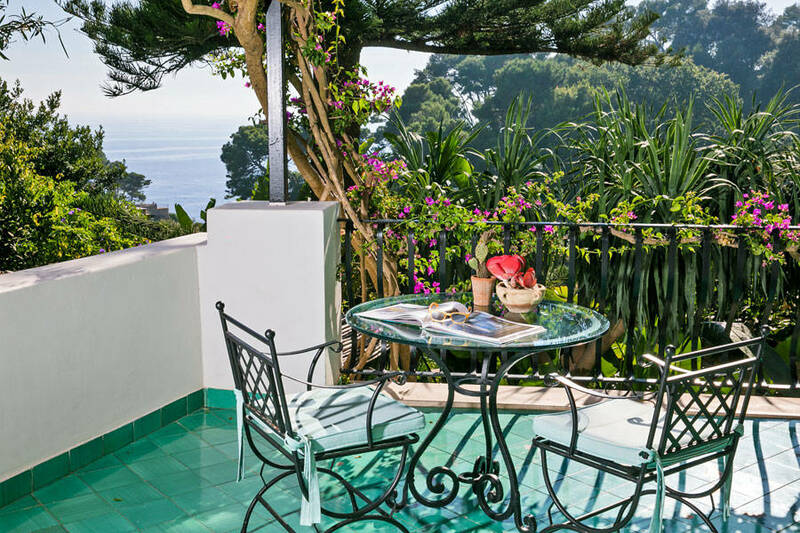 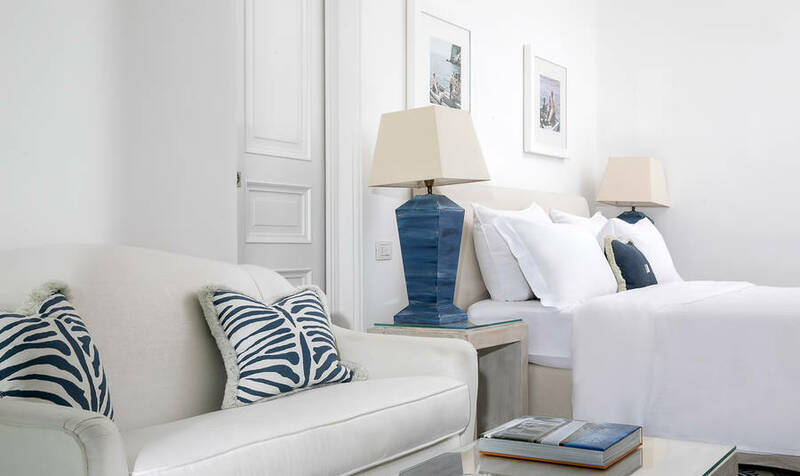 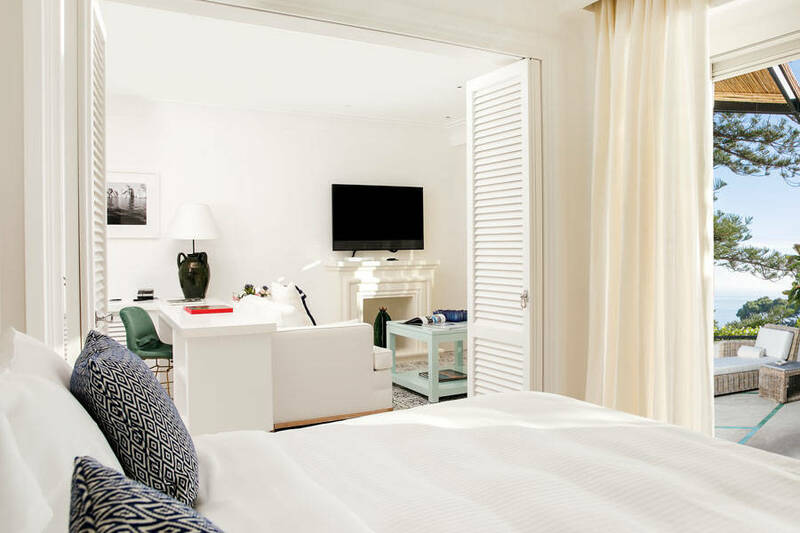 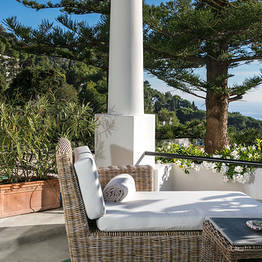 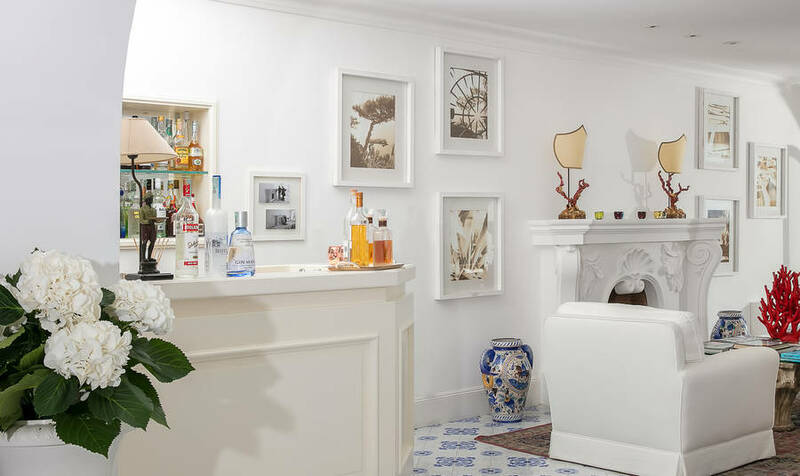 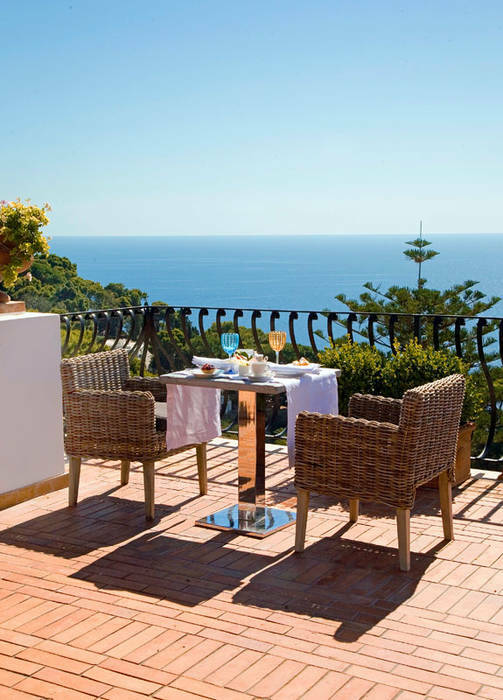 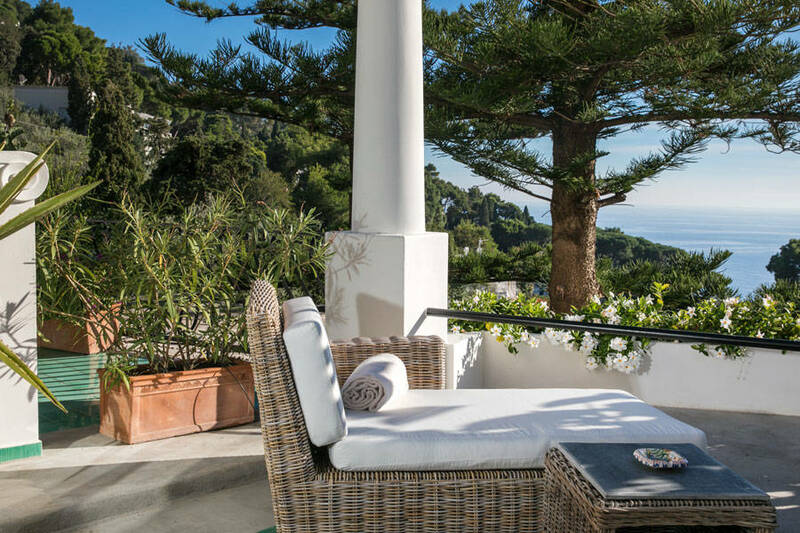 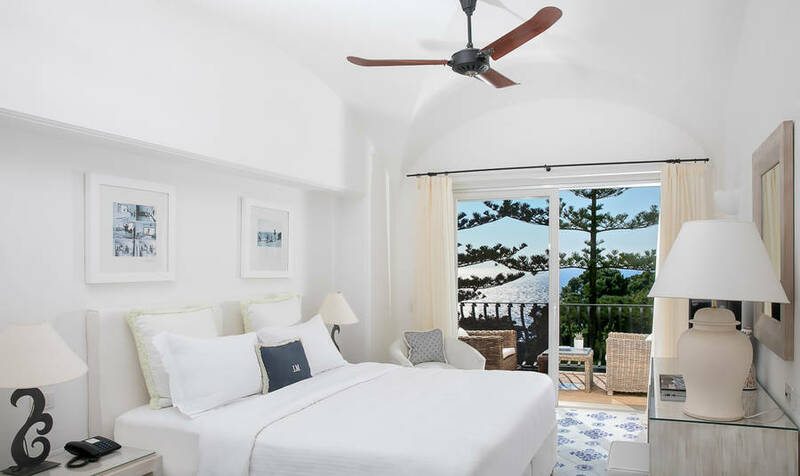 A beautiful boutique hotel in the heart of the historic center of Capri, La Minerva is the perfect combination of a central location and peaceful getaway on this paradisiacal Italian island. 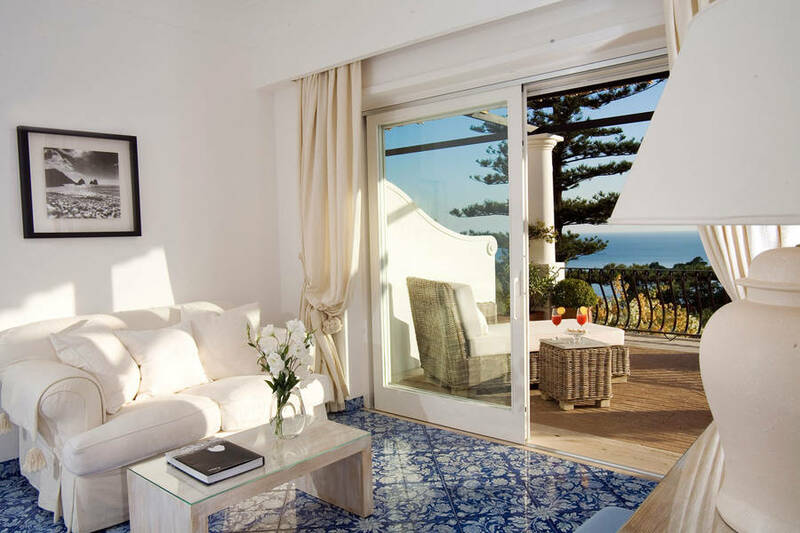 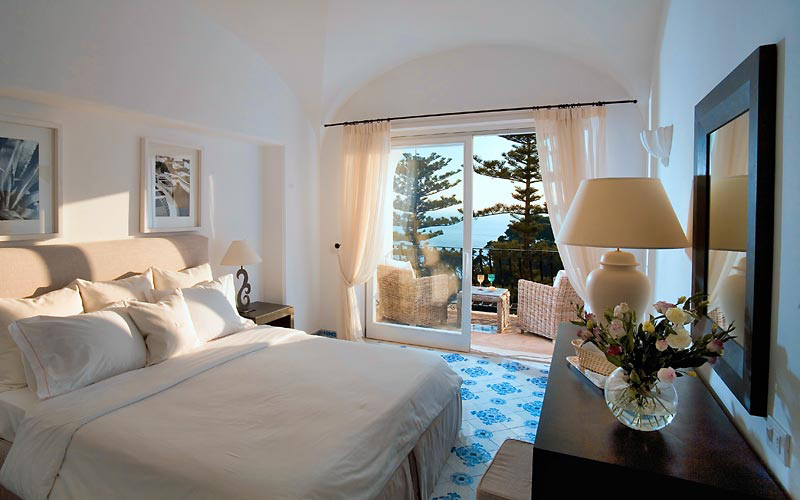 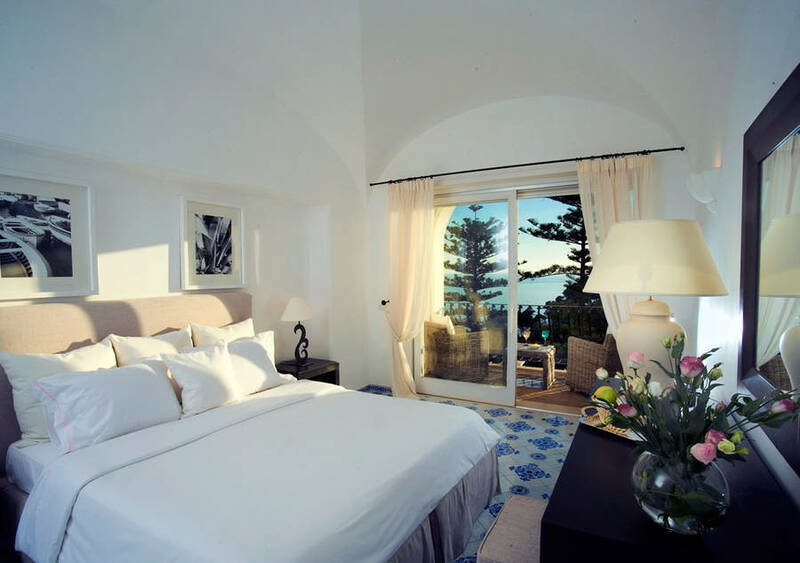 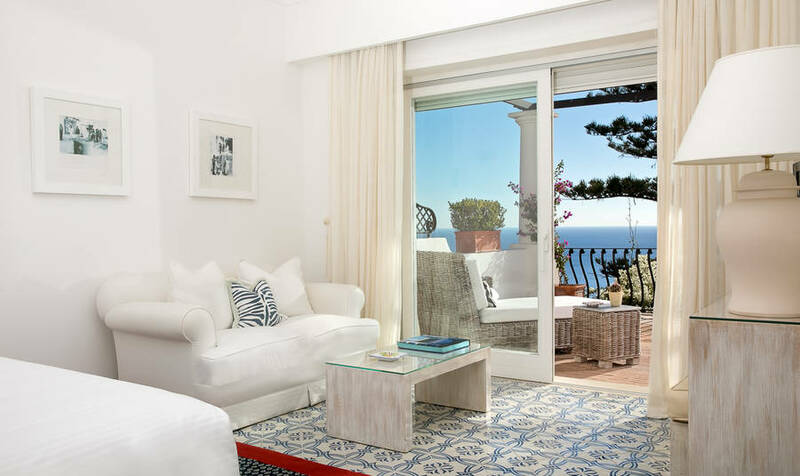 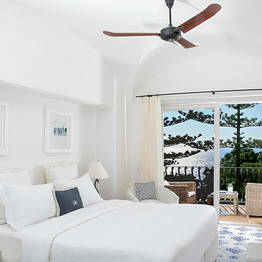 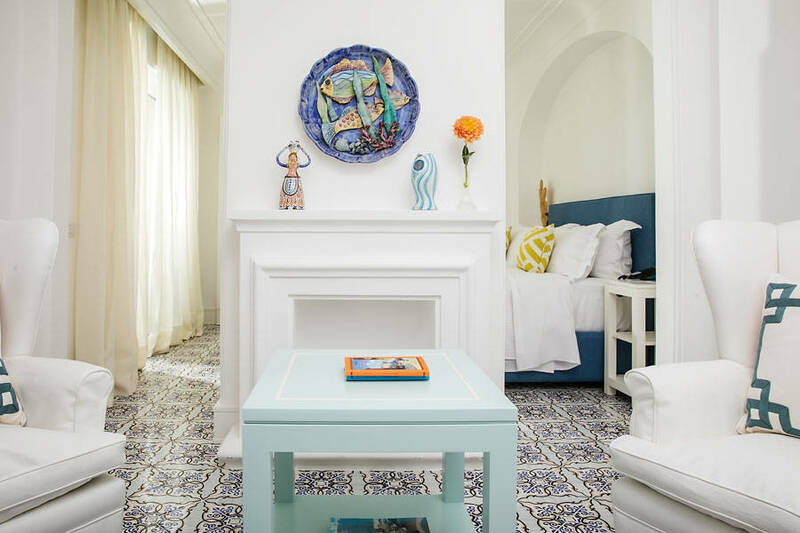 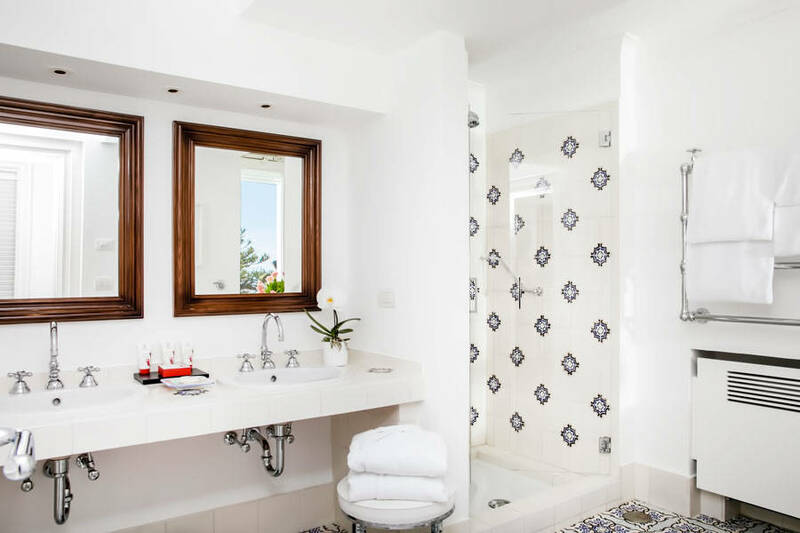 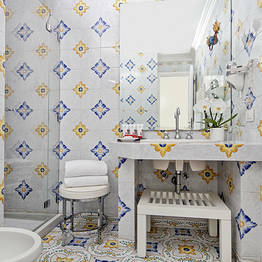 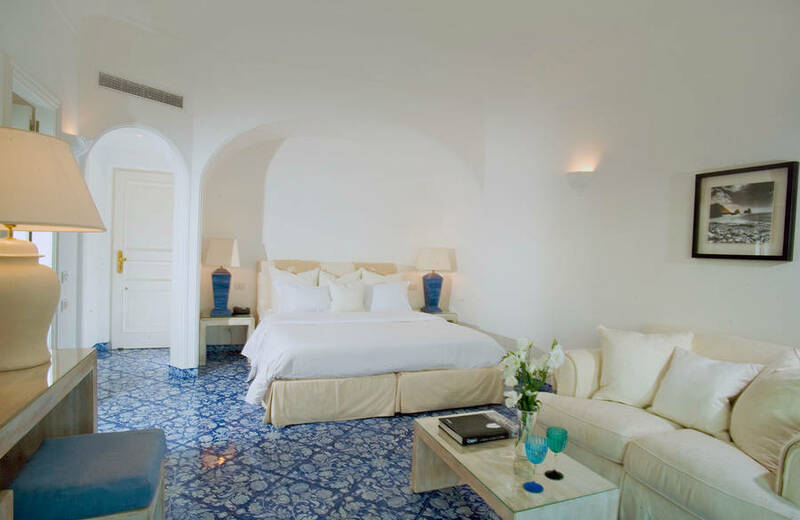 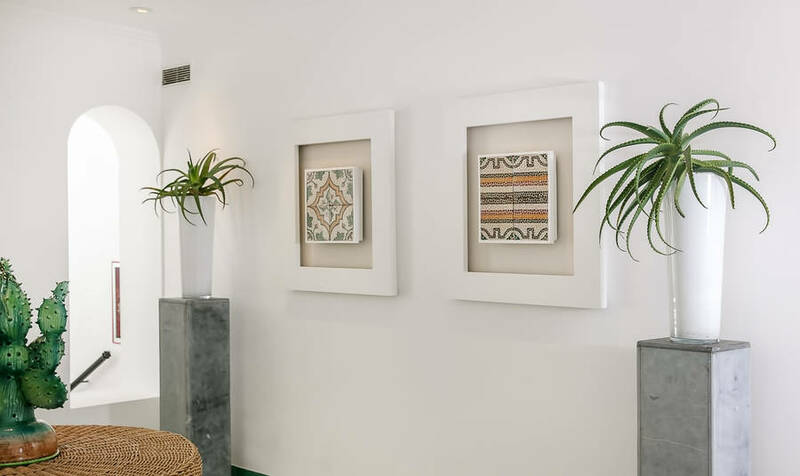 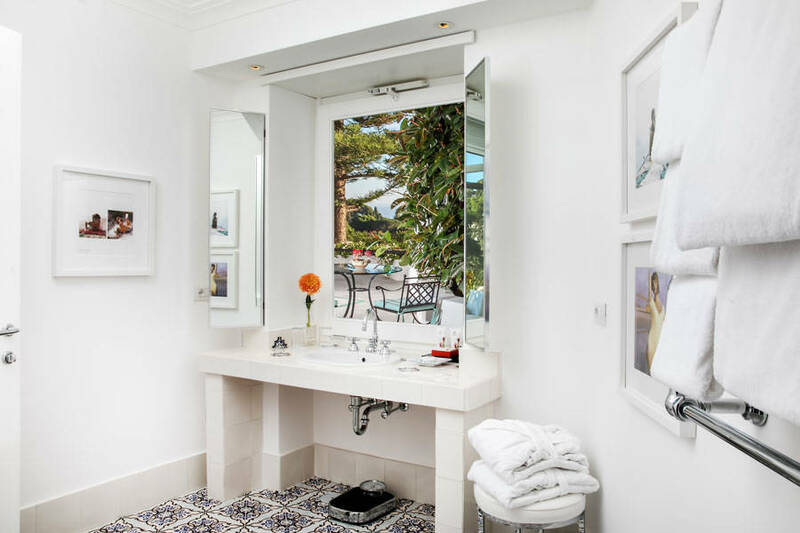 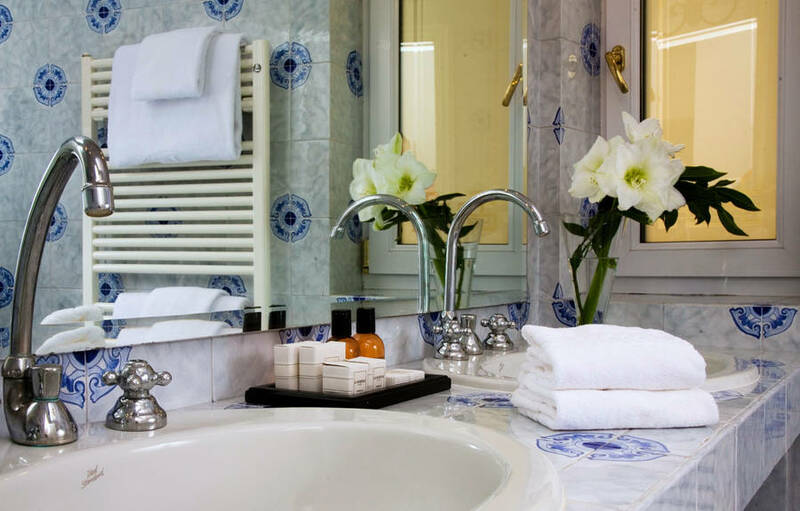 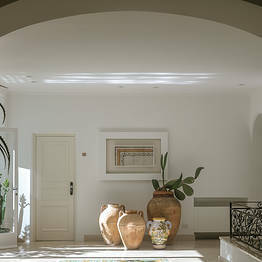 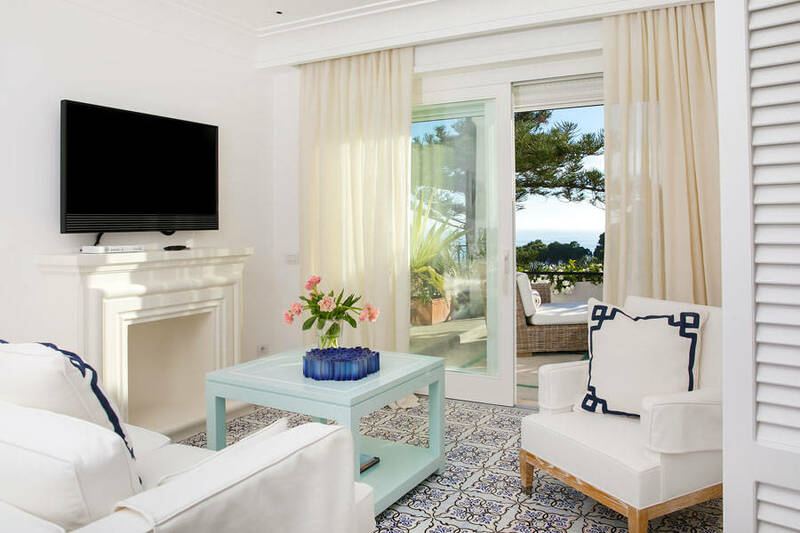 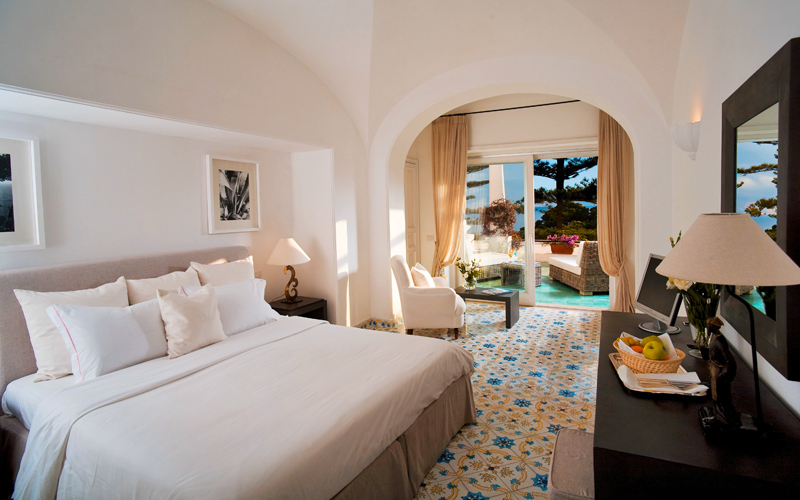 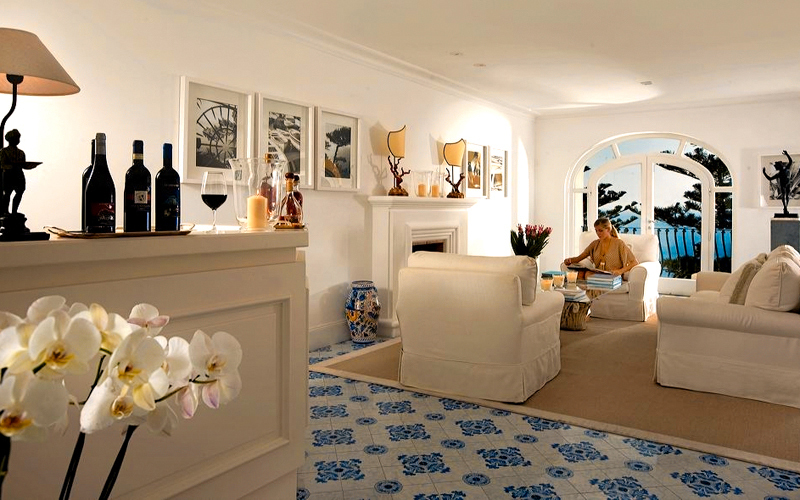 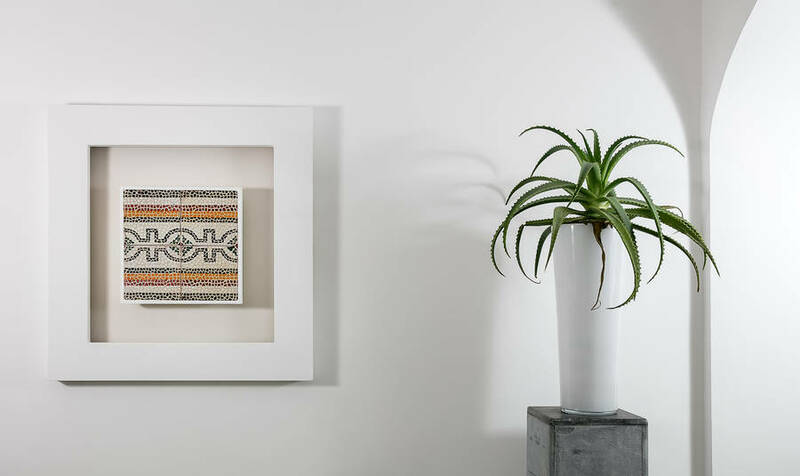 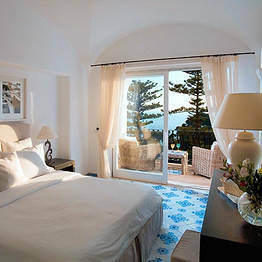 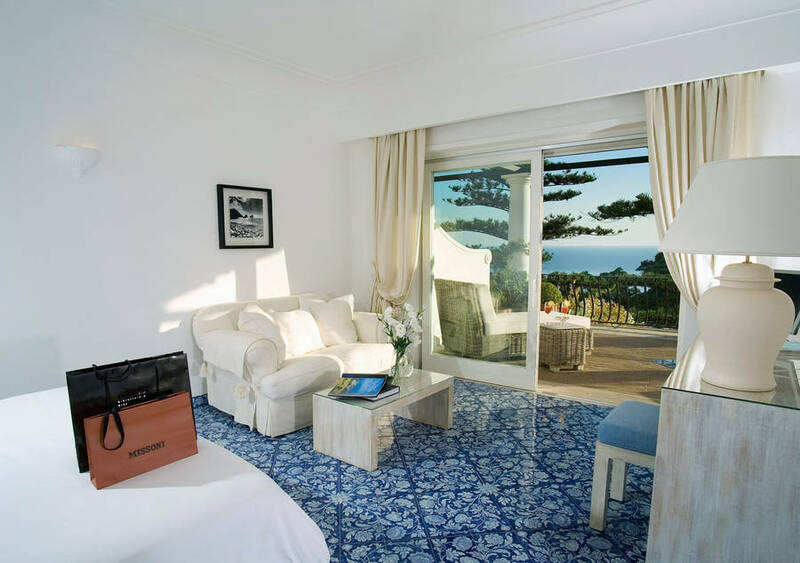 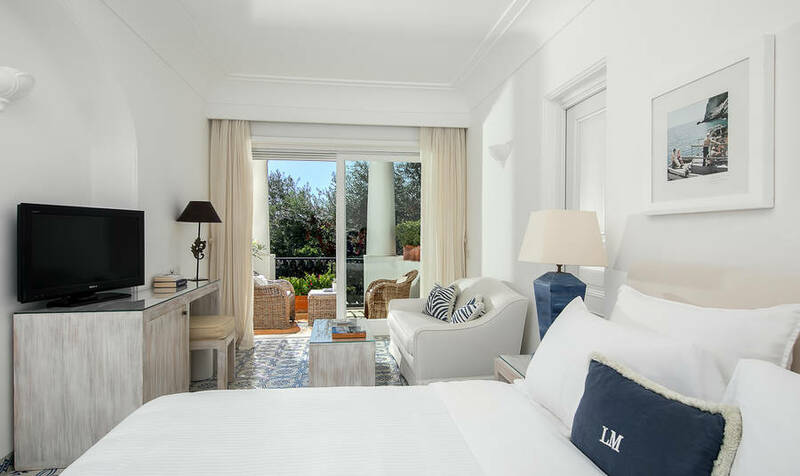 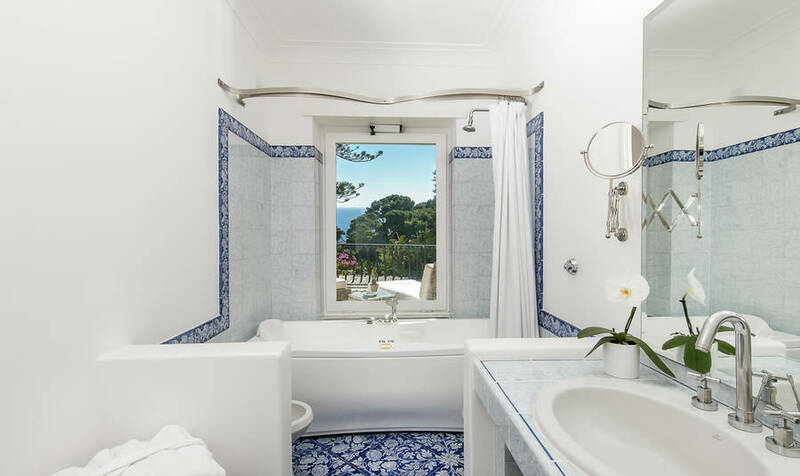 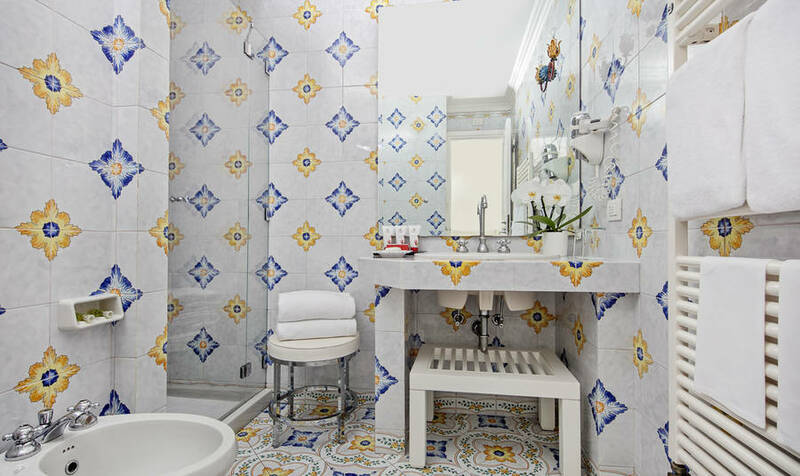 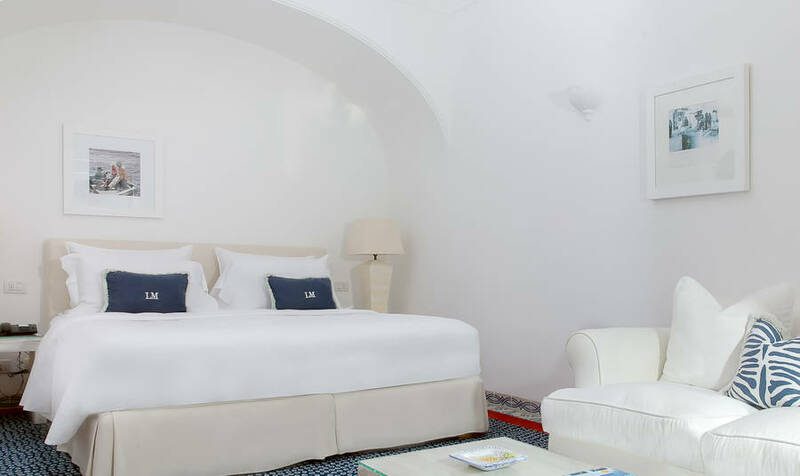 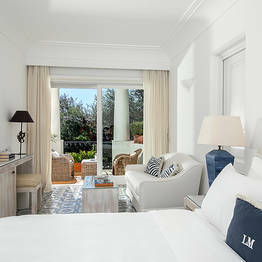 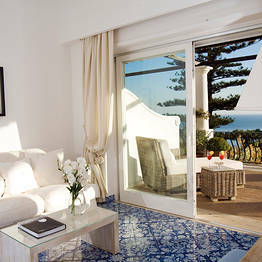 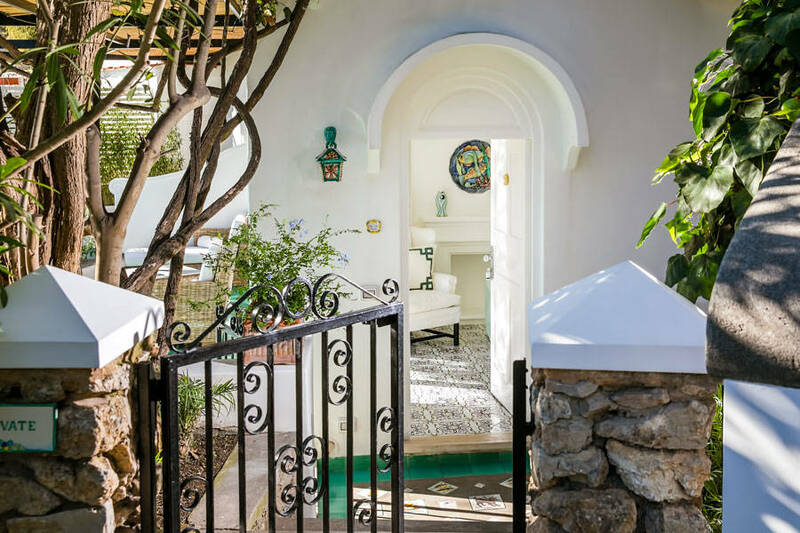 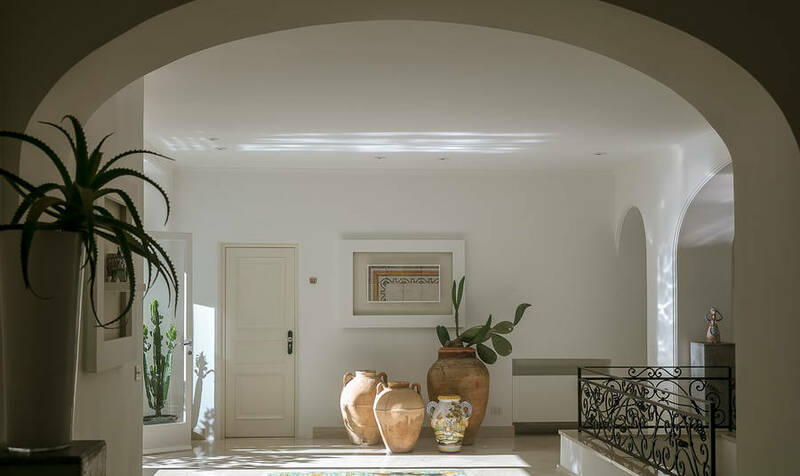 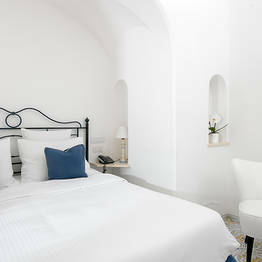 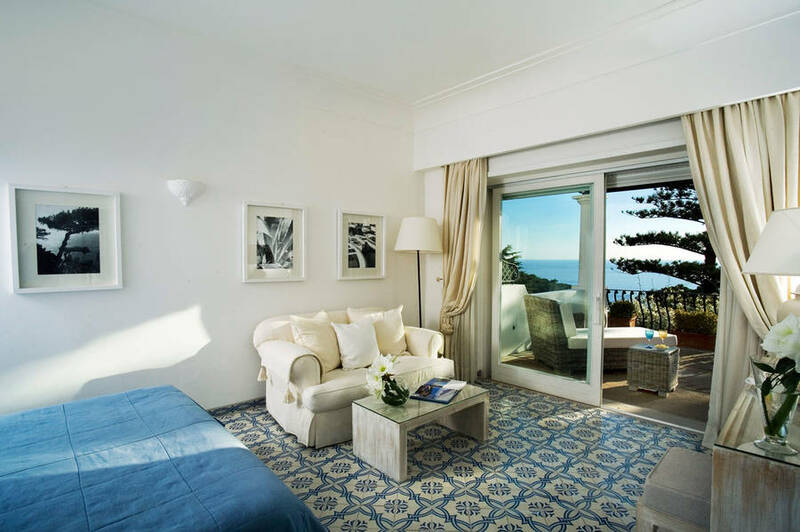 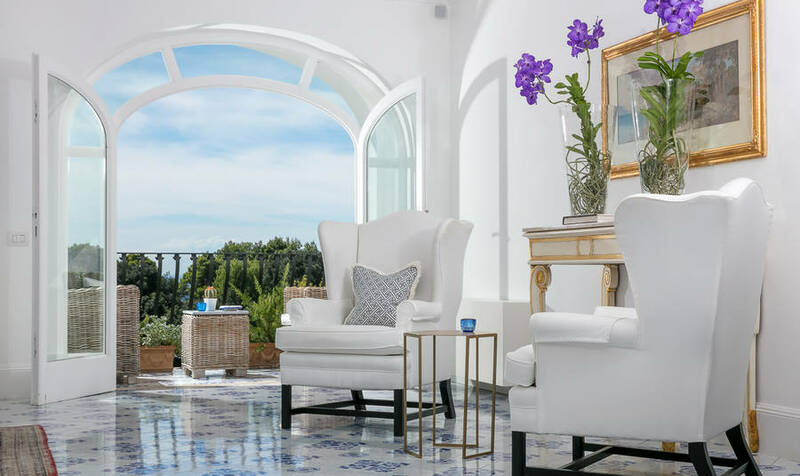 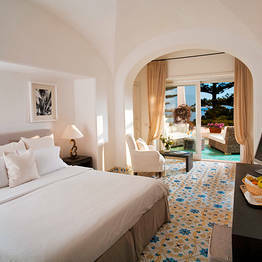 Intimate and exclusive, Hotel La Minerva has a total of just 19 lovely, light-filled bedrooms, featuring the vaulted ceilings, graceful arches and exquisite hand-painted majolica floor tiles typical of Capri's elegant private homes. 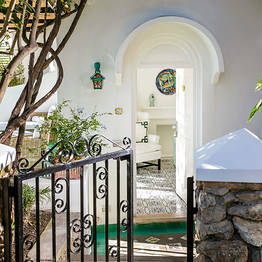 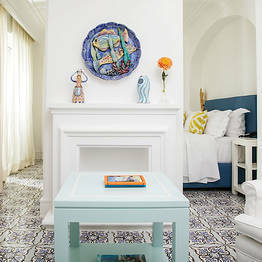 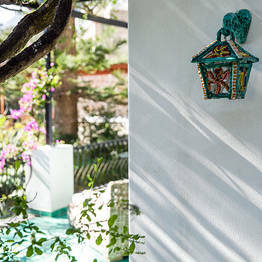 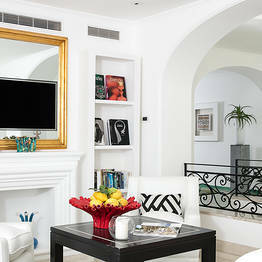 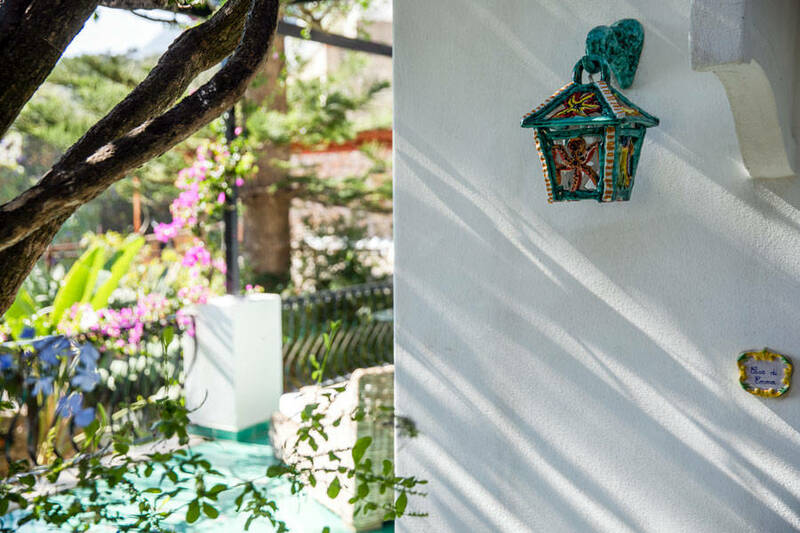 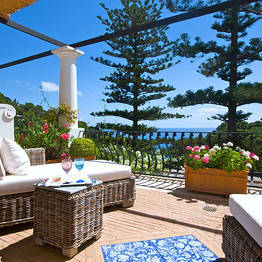 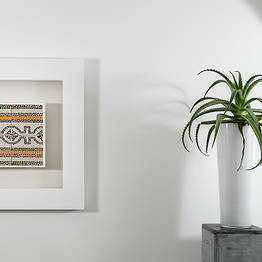 Nearly all rooms open out on to a generously sized terrace or balcony, framed by brightly colored bougainvillea. 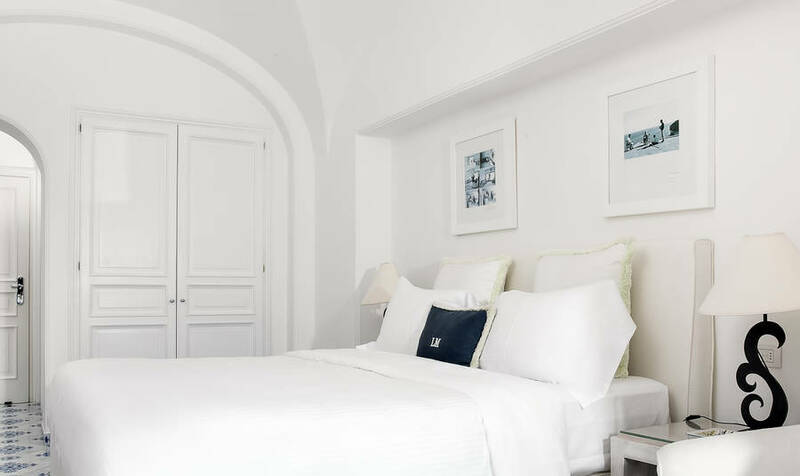 The most sought-after rooms in the house? 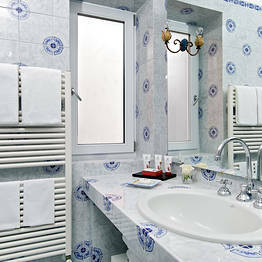 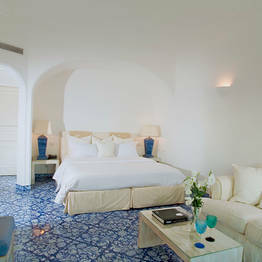 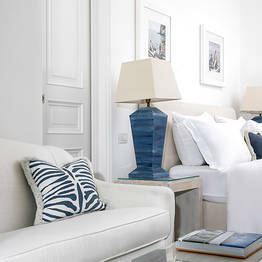 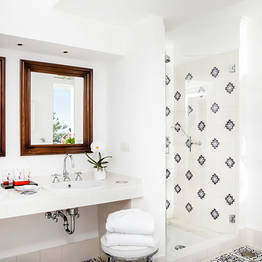 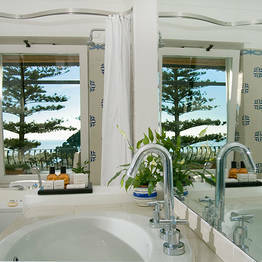 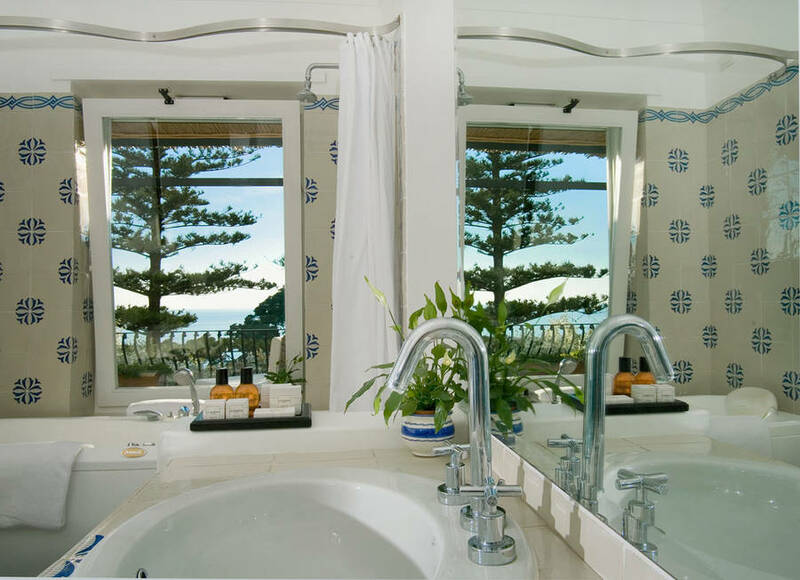 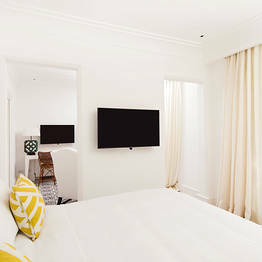 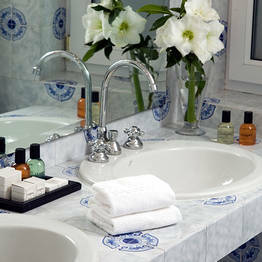 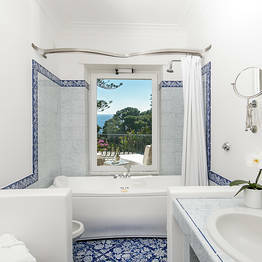 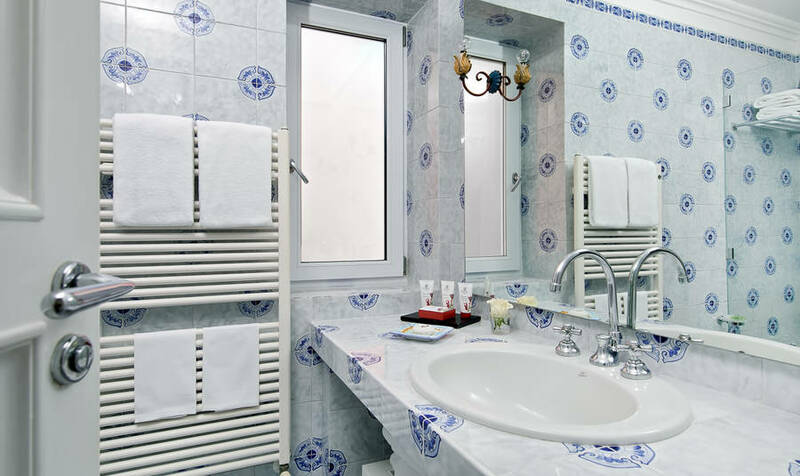 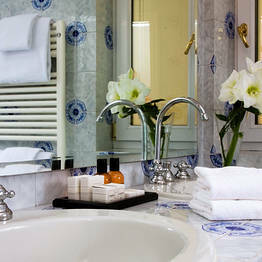 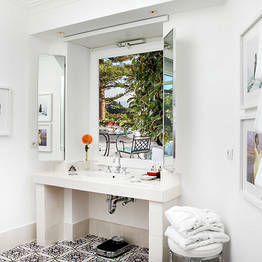 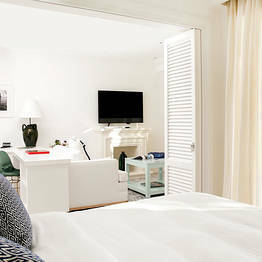 La Minerva's Deluxe rooms have marvelous light-filled bathrooms with Jacuzzi tubs and walk-in closets for extra space. 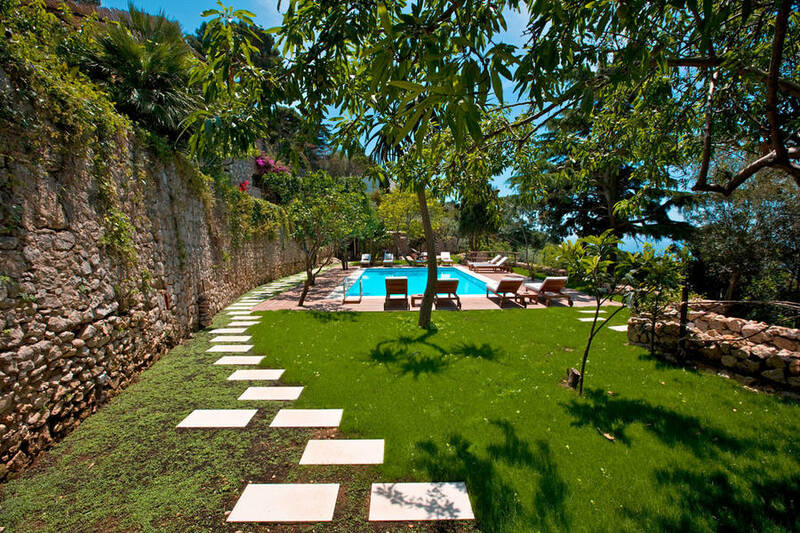 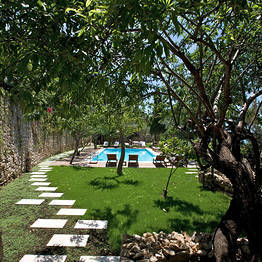 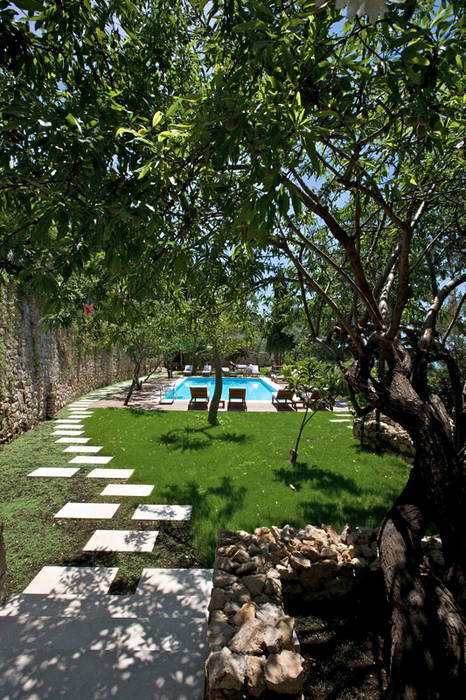 The hotel's private garden, abundant in sweet-smelling citrus trees and almond trees, features an attractive swimming pool with views of the sea and the medieval Charterhouse of San Giacomo. 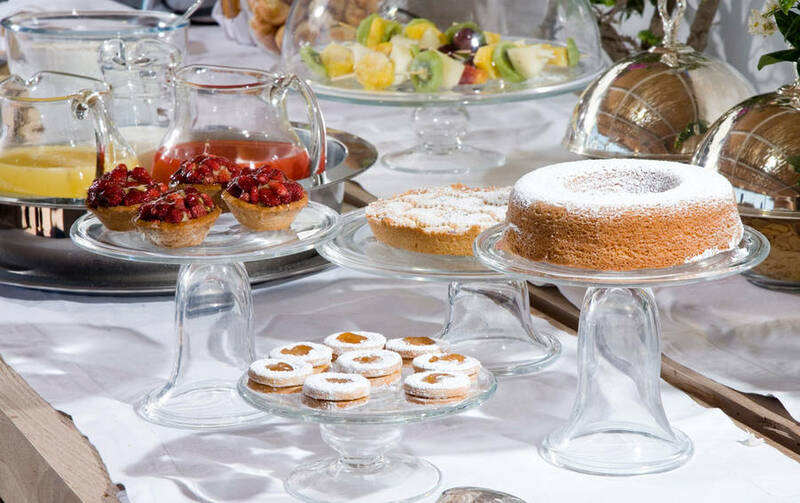 A delicious selection of freshly prepared salads, sandwiches and the hotel's famous crushed ice drinks are available at the Pool Bar. 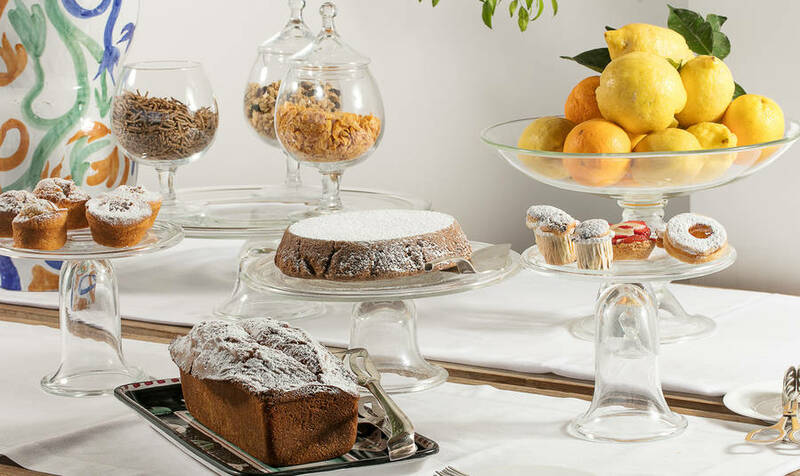 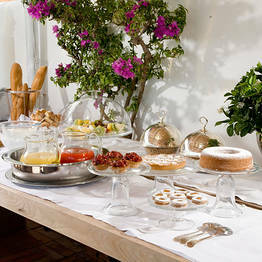 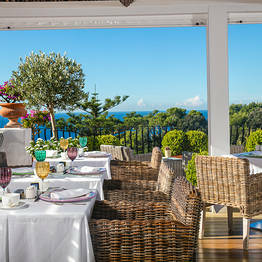 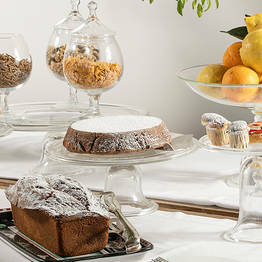 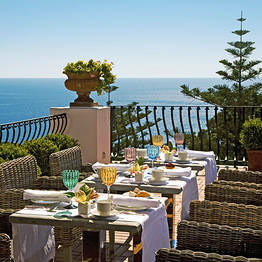 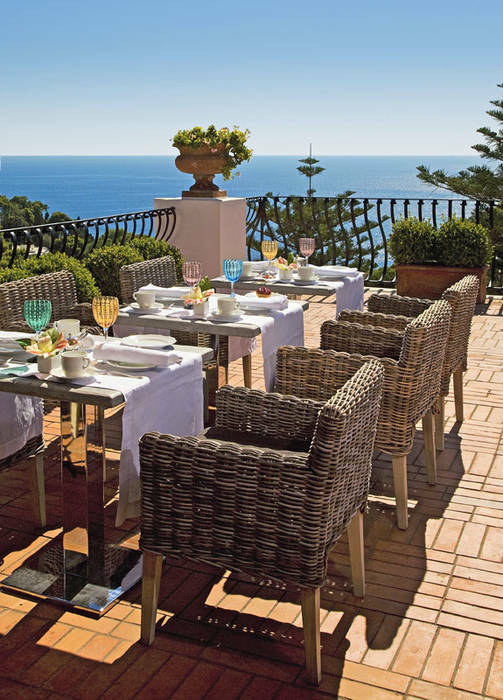 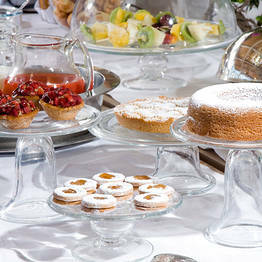 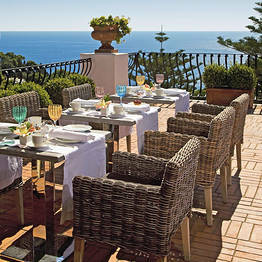 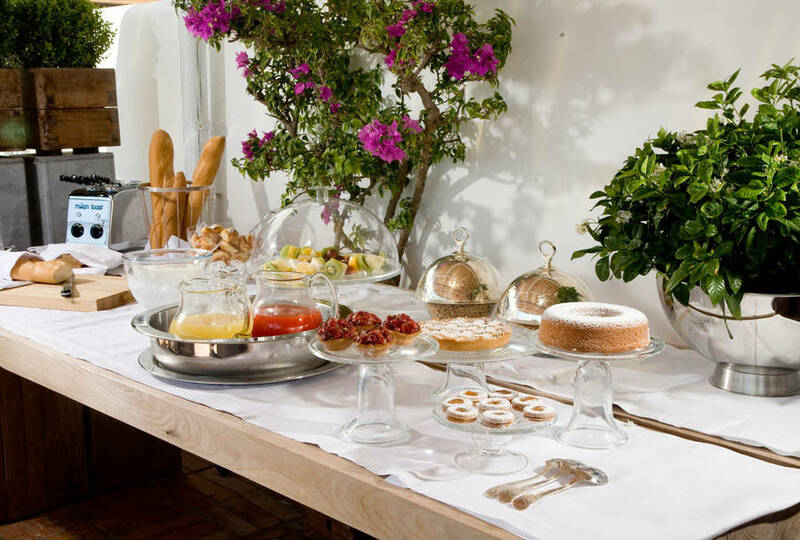 During the long summer season, La Minerva's generous buffet breakfast is served on the hotel's open-air terrace. 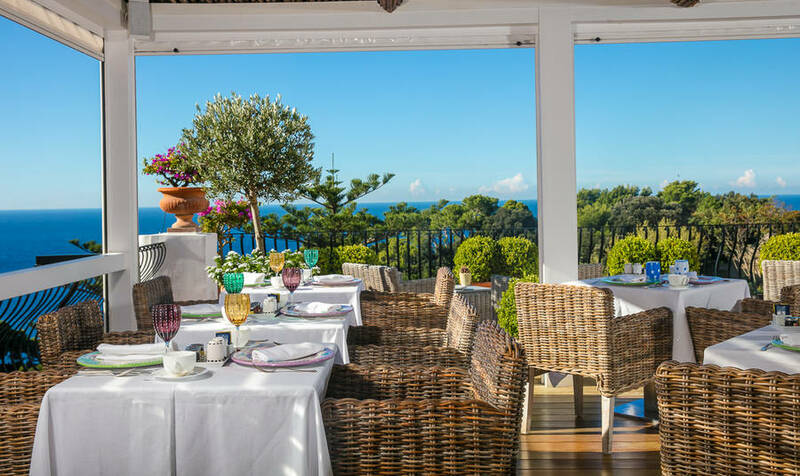 In the evenings, the same terrace provides the panoramic venue for sunset aperitifs or you can relax at the indoor lobby bar and sample from the selection of the finest labels from single malt whiskey to gin, grappa, and house cocktails. 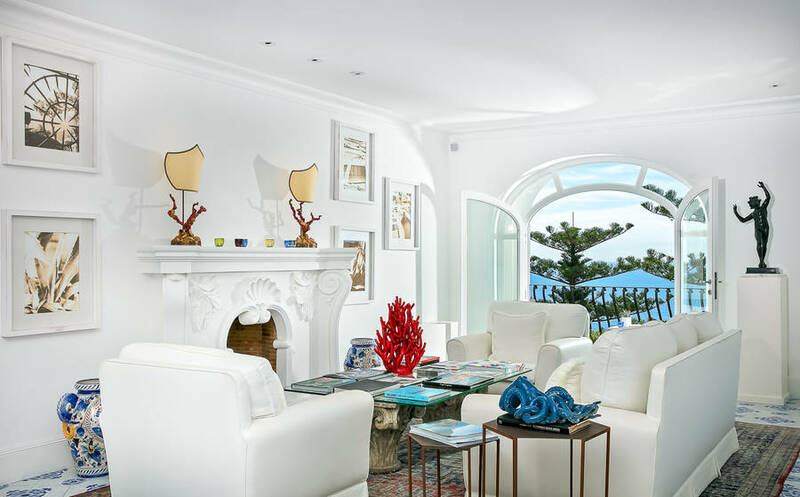 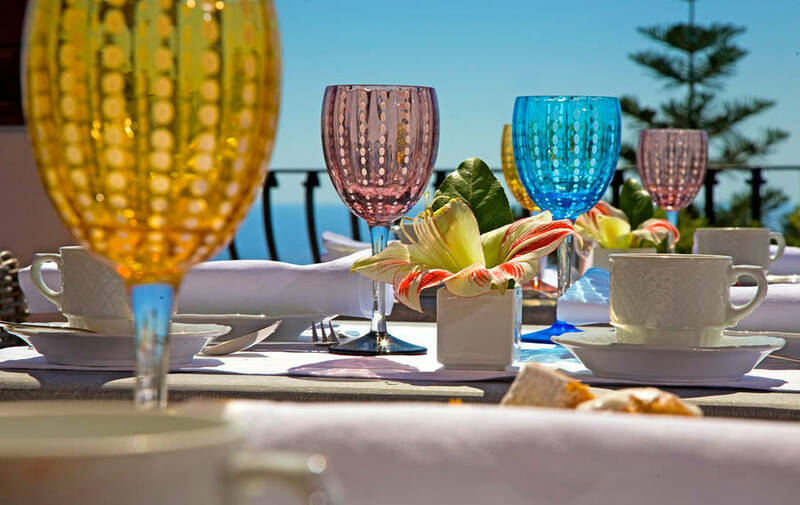 Despite its location in one of the quietest areas of Capri, Hotel La Minerva lies within easy walking distance of the famous Piazzetta, and the glamorous Via Camerelle where all of the island's most fashionable designer boutiques and restaurants are located. 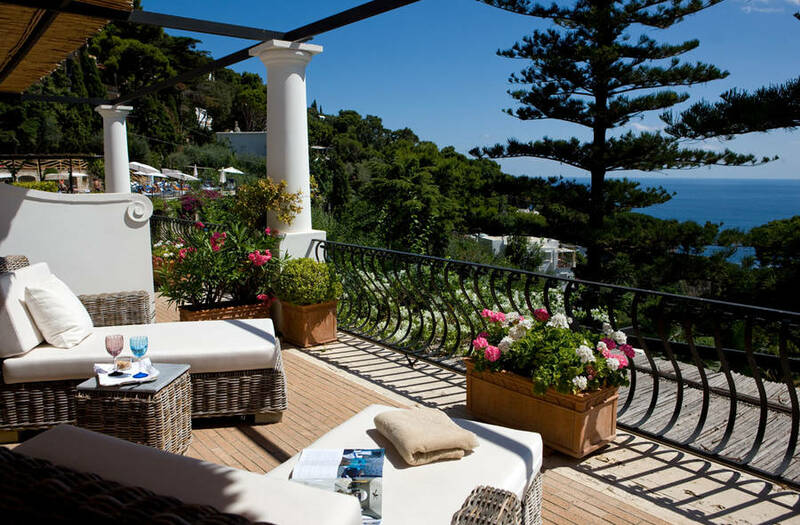 Those eager to experience the natural beauty of Capri will find any number of breathtaking coastal walks in the vicinity of the hotel. 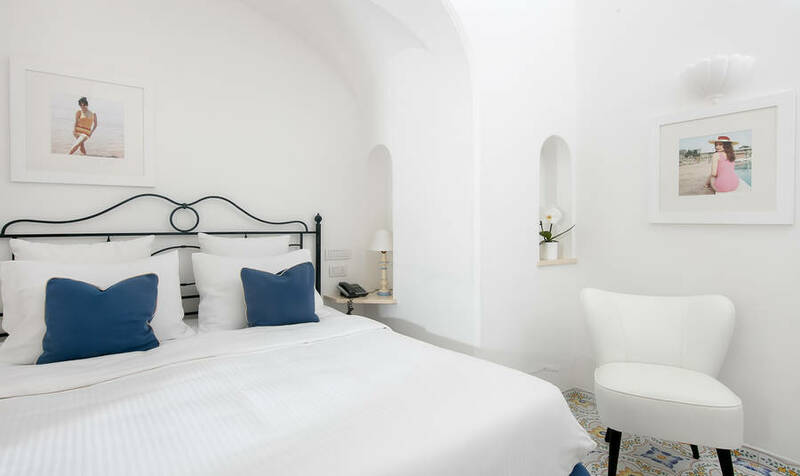 La Minerva's affable concierge will be pleased to organize boat excursions, including visits to the island's many sea caves, and across the waters to the nearby Amalfi Coast. 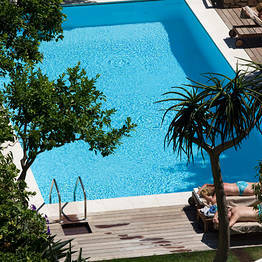 Need to relax after a day of touring? 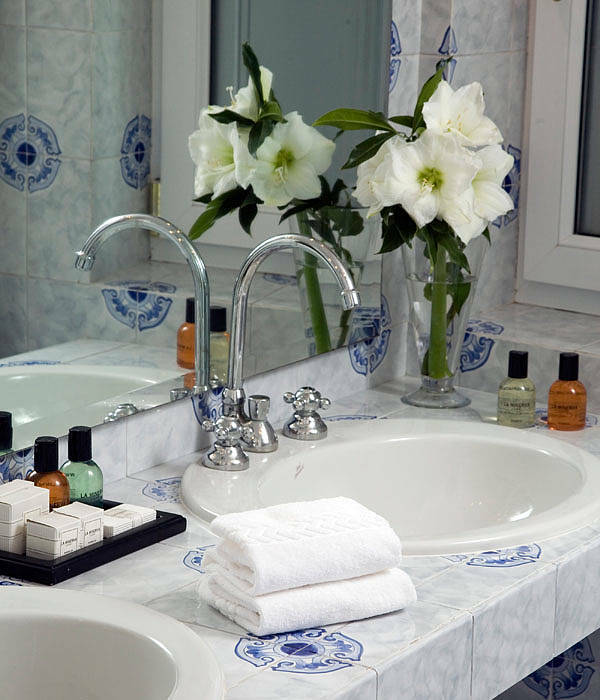 Book a massage with Annamaria in the hotel's massage area and leave the stress of your daily life behind!